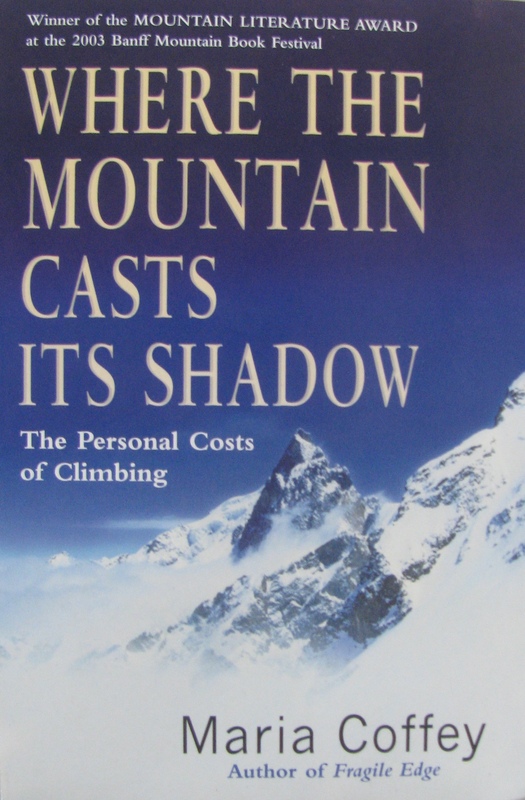 It is a dozen years since Maria Coffey’s book Where the Mountain Casts Its Shadow was published. In 2013, she was there at the writer’s festival at Mussoorie’s Woodstock school. Her talk, remarkably different from others’ for the topic it covered, was ample reason to buy her book and read it. By the time I reached the counter selling books, the few available copies had already got picked up. It was a couple of years before I finally found a copy at a bookstore. Eventually, I read it. This is a book on a set of subjects, climbers would rather not talk about – death on the mountain, long absences from home and how friends and family cope with mountaineers’ obsession for distant ranges and high altitude. The reluctance to talk is understandable. It is proverbial triangle with slightly different actors. A man or woman invests in a comfortable pad with partner; even raises a family, yet there is no getting away from that other partner in the frame – the mountain. The bulk of climbing literature is written by climbers for other climbers or the general public. Point is – it is always the mountaineer’s perspective that shines forth. The adulation we have for climbing flows back from climbers being privy to a coveted perspective (visual and experiential), to obtain which the vertical and its accompanying challenges have to be handled. That challenge is frightening, the successful outcome, impressive and the perspective sold, so compelling that the adulation is spared questioning. But frankly speaking, much as George Mallory quipped, “ because it’s there’’ to why he wanted to climb Everest, there is no good reason for anyone to put his / her life in danger and climb a peak. The world is right if it finds it madness. Mercifully, ` adventure’ comes to the rescue, making it a fashionable madness. Just as a big expedition leverages the work of many to plant a climber or two on the summit of a peak, covering those two in glory and the rest in anonymity, anyone venturing to wilderness is there thanks to a network of human beings he / she encountered or befriended in life, some of who have sacrificed their happiness so that he / she may gain the experience sought. And as with expedition members consigned to anonymity, friends and family are often taken for granted. Veteran mountaineers and expedition leaders can sit and count the number of people they know, who died in the mountains. Over time, the dead and the maimed, become statistic. Some of the dead – the famous dead – get written about. But that is to highlight their lives, their climbs, what they were like in the mountains, why they loved being there; in other words, it’s all about them. How many of us know what it is like to endure a long separation with partner gone to the mountains or cope with tragedy if he / she didn’t come back alive? Or bring up children when husbands or wives are away for long or plain, dead? The other side of mountaineers’ lives – the people they leave behind at home, their version is rarely heard. Maria Coffey’s book is important because she gives the quiet, unheard ones, voice. Doing so, a little known side of climbing comes to the fore. It’s a side you won’t normally hear from mountaineers’ mouths. The subject being such, a lesser writer would have made this book a collage of emotional responses. Maria Coffey strikes a balance; a lot of what she says is grounded in personal experience, conversations and extended interviews with others, not to mention much reading. The book gives considerable insight into how tragedies in climbing played out, particularly how they impacted and were dealt with. Lest you conclude this is all about censuring mountaineers or deeming that obsession with climbing – irresponsible, let me hasten to add: there are instances in which children brought up amid long absence by one parent or growing up with one parent dead, have found themselves in the mountains and realized, you can’t fault the obsession. There are instances in which widows have remarried (at times to a friend of the deceased) and felt their new found happiness to be a gift from the one who passed away. There are instances in which the surviving partner has realized that there is an appetite for risk in his / her own personal make-up which is what made them love a mountaineer in the first place or makes them seek others cast similarly when one goes away. Who then, is to blame? It would seem, for all the stability we crave and celebrate, there is an edginess we secretly admire. The mountains are not only beautiful; they hold a mirror to our lives. So does this unusual book.